For the business person, or, perhaps more accurately, their marketing director, data is one of the most vital and important parts of developing a targeted and fine-tuned marketing campaign. Good marketing can mean the difference between success or failure of a business, so it should come as very little surprise that businesses and individuals alike are willing to pay for your opinion about products, services, ideas, etc. But it isn’t just businesspeople who need data. University students need data to perform studies. Researchers at think tanks, universities, and private organizations, often need specialized information to perform statistical analyses and determine the validity or what is lacking in a theory. Data is king in today’s world; it is the information that businesses use to make decisions about new product lines, ways to tailor existing lines, how to better reach potential customers, and how to make their advertisements as effective as possible. It is also information that students and researchers of all stripes use to help prove their hypotheses true or false. Representative samples are often something that is hard for researchers to access, which is why the bulk of academic study is done on college undergraduates, which aren’t exactly representative of the public at large. This is why independent data gathering for a fee is something that is becoming increasingly popular. If you are looking to earn a bit of extra money, or if you need some data yourself, there are some great websites that make it easier than ever before to obtain the exact, value-added data that you need for whatever it is that you are working on. And if you are the person who provides said information by way of taking surveys or answering errant questions, you are rewarded for your efforts, making this a win-win situation. It would be imprudent to continue with this review without a few words of caution. The internet is a double-edged sword; there are a lot of good, fun, and worthwhile things online, but there are also people who are looking to scam and take advantage of the unsuspecting. Unfortunately, ways to earn money online is a popular area for online scammers and something that anyone who is thinking about participating in online money-making endeavors needs to be acutely aware of. Some of these scams can be malicious and even involve you paying money. But, other scams are a bit more innocent, but still scams nonetheless. What follows is a brief rundown of things you need to consider before giving your personal information or giving your time to a site that claims they will pay you for your opinion. First and foremost, no legitimate paid survey site will require you to pay any money. If a site is asking you to pay for a membership or some sort of “one-time fee,” there is an almost 99% chance that this is just a ploy to get your money. Like any type of gig, whether an hourly gig, salaried gig, or a one-time freelance gig, you should never be asked to pay for a job. Any site that requires membership or other fees is one that is probably best avoided. Something that kind of comes out of the previous warning is that if it sounds too good to be true, it likely is and you should probably just move on. Any sites that claim you’ll earn tons of money and get rich filling out surveys while in your pajamas is selling you an unrealistic dream. Not that many people are able to cobble together a living from the various money-making schemes you can participate in online. That doesn’t mean that it doesn’t happen, but it is certainly not that common. A realistic expectation to have from something like paid surveys is that you will occasionally get a few bucks or gift cards for giving your opinion about something. Privacy is a huge factor when it comes to online participation in paid surveys. A lot of the surveys ask for incredible personal information and many sites require you to sign up with the site using your real information. Naturally, a lot of people aren’t comfortable with this. While there are many legitimate sites that require your personal information, none should ever ask you for any banking or credit card information. There are also a few sites that allow you to participate and earn rewards, but don’t require that you use your personal information during the process. You also want to be sure that you understand the details of how compensation works on these sites. There are sites that scream that they will pay you cash for your opinions, but in the fine print, you find out that there are a lot of caveats and requirements that weren’t alluded to in the screaming headline. It is important that you have a good understanding of what you can expect by way of earnings and what requirements there might be for accessing said earnings. In terms of understanding how you will be rewarded, you will first need to look at the details of each particular site. Somewhere in the FAQ or help page will be detailed information about how you are rewarded; here you will see if you are rewarded in cash, gift cards, “points,” or some other rewards system. A lot of people are unpleasantly surprised when they try to access what they think is their cash earnings, only to be told that they have to be spent at a certain place or on certain things. 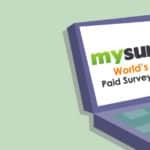 Another common feature of many paid survey sites is that they will have some sort of minimum requirement for you to be able to access your money. A lot of places will not allow you to access your earnings until you hit a certain dollar amount like, say, $50. You want to be sure to find out if a site you are interested in has a requirement and if so, how much you have to earn before you can access your rewards. Tellwut is a unique service that provides a wide range of features for both those who are using the site to earn some extra money or for those who are using the site to obtain information they need for their business or research project. They are a trusted and reputable site for exchanging information and a lot of people love the simplicity and range of this site. People who respond to questionnaires or participate in a debate or other conversation will earn points on the site that can be put towards gift cards. You can also get points that can lead towards gift cards by posting your own questions, referring friends, helping resolve a debate, giving your opinion, and more. Tellwut utilizes the efficient concept of crowd sourcing. What this means is that data is collected directly from the users, rather than through a third party. The range of topics that can be explored on this platform is almost endless, which is what makes this such a useful tool to both business and researchers alike. The site provides easy-to-use software that allows you to create a custom survey or poll. That means if something is tickling your curiosity, or you want to do a bit of your own market research, you can set up a professional survey in just a matter of minutes, no expertise or computer savvy necessary. For those who are using this site to provide information for points and subsequent rewards will find a wide range of different polls, surveys, fill-in-the-blank questions, and even outside surveys that take place off the site but still allow you to accumulate points towards gift cards. Sites like Tellwut are a bit different from other paid survey sites. Rather than being run by a marketing firm, it is a crowd source site that seeks to obtain the information that the users want directly from the respondents themselves. These sites allow businesses and researchers to obtain the specialized, targeted data they want and need with ease and affordability. Those who want to be rewarded for their opinion rave about Tellwut as well. There are a variety of ways to earn points on the site that accumulate to allow you to get gift cards as a reward. On Tellwut, you will be paid for all sorts of participation. Whether you are referring a friend, answering a survey question, writing your own question or poll, or even participating in a detailed academic research experiment, you will be rewarded with points that can be exchanged for gift cards that allow you to buy what you want and need with your earnings. Tellwut is a great way to earn a little extra money, simply by sharing your opinion or answering a few questions. It is a trusted and reputable site that is known for protecting privacy and providing a great experience for users on both sides of the proverbial equation.